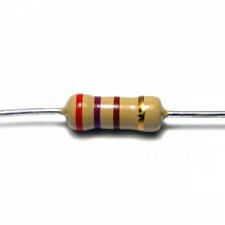 A resistor is an electrical or electronic component that resists the flow of electrons in a circuit. There are several types of resistors including carbon, ceramic, fixed wirewound, variable wirewound, stationary adjustable wirewound and forms of integrated circuits. How much a resistor impedes the current flow is called resistance and is measured in ohms. 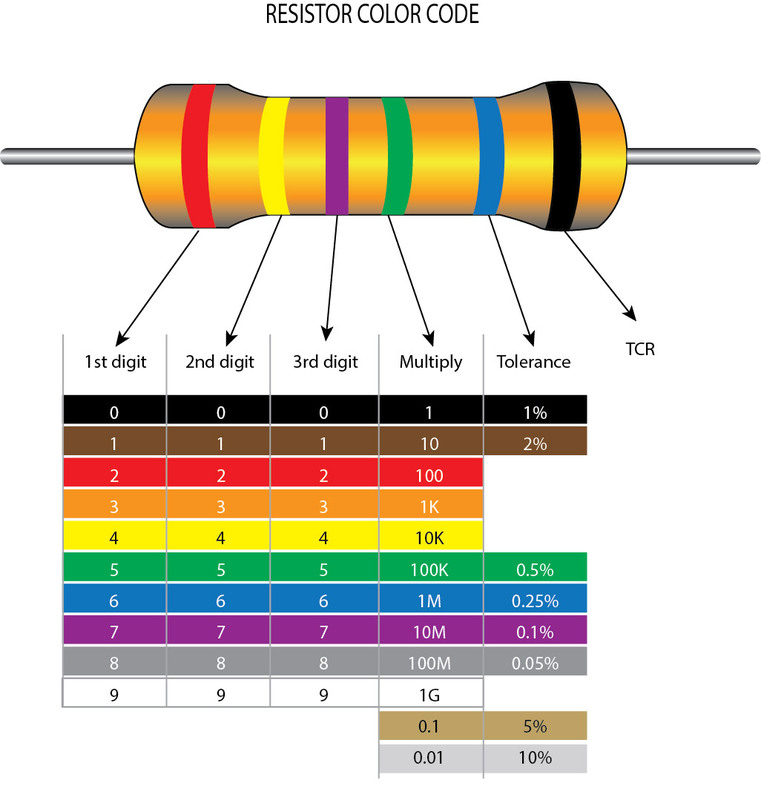 Most resistors have a fixed value as to how much resistance they will display. Wattage, qualities and tolerance values vary according to needs. Most of the resistors used in the MBHP hardware platform are 1/4W 5% tolerance. You should buy a bunch of resistors @ Ebay , this is a costless investment you will find very useful in the end!